Support the sophistication and your modern furniture experience of the Pittore Table with the Pittore Basic Chairs in Grey. Bring a sense of luxurious relaxation and contemporary design to your child's room or playroom. Chair is crafted from wood and mdf and painted a light grey to bring about a sense of maturity and growth to all rooms alike, while looking modern, trendy and versatile. Use this chair in a bedroom, playroom or anywhere you wish, it fits in with most home decor. We recommend if you are looking for a table that goes with it to try our very own, and matching, Pittore Multifunction Play Table, which will perfectly coordinate the beautiful grey tone of our chairs with a predominantly white tone. 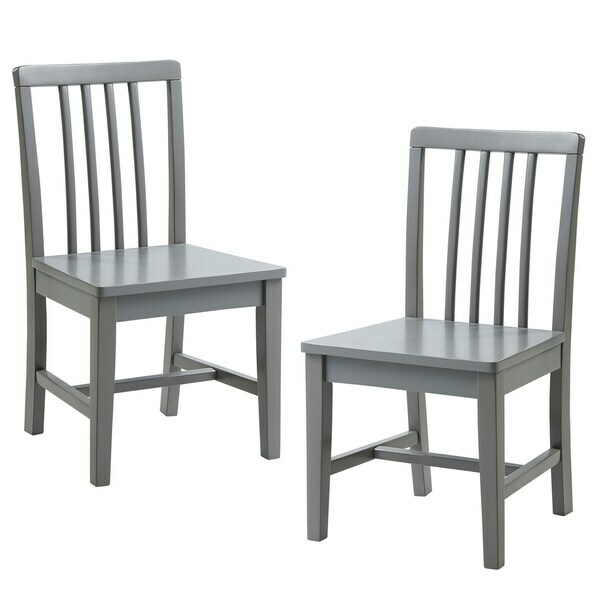 The touch on this set of 2 chairs is so smooth that proofs the very high value that all Versanora items portray and are part of those quality features that you can't see on screen, but you will and enjoy once these two beauties are in your room space.